A tarot deck is made up of two parts, the minor arcana and the major arcana. When choosing a deck the only thing that matters is that you are drawn to that particular deck for whatever reason, we are all attracted to different things. 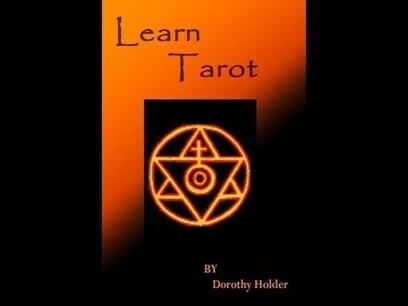 All decks come with a book describing the cards and interpretations, layouts, sometimes practice readings. If can be beneficial to invest in a good book other than the ones that come with the cards if you intend to learn more. These can give you card combinations and indepth possibilites for the cards. You do not need to already have intuitive prowess, as you practice with the cards your intuition will develop and ultimately will have as much influence in the reading as the cards. These aspects cover the various areas that you will experience in any situation,relationship, or event. The numbers relate to different aspects within the whole. these are very minimal but give you an idea of how it goes, you can determine whether emotion, thought, achievement, or action dominate a reading, and which area of your life is being challenged right now. The major arcana deal with the hidden energies, and follow a set story of life as we should be living it, the minor arcana tends to resonate with the actualities of what we do. The cards of the major arcana resonate with your subconscious, your fears, your hopes, your inner conflicts etc. these are the named cards. the fool, heirophant, preist etc. if you have some cards you might like to try this; separate your deck minor arcana and major arcana place the major arcana cards to your left the minor arcana to your right. shuffle and draw three cards from the minor arcana thinking about your current challenge. place them face up. read the meanings of these cards and take a moment to see how they relate to each other and your current problem. When you are satisfied that you have a good interpretation of the cards cut the deck of major arcana and draw a card. this card will show you the underlying thought, belief,desire, or inner conflict behind the issue. this card will give you an action to help you through your situation. understanding that the question is as important as the cards you draw can be the difference between a reading that makes sense, and one that does not. not all cups pertain to love, but do tend to refer to feelings. so if a question is about career and a cups card comes up, apply the meaning to the question rather than turning the answer into one about love, or not feeling it made sense. learning tarot is something that many do not bother with today, a good tarot reader though can deepen the meaning of the information and gain deeper more specific information from the cards. not to be taken lightly as their are less tarot readers around than there once was. A new spark of energy for a new passion. This usually indicates that the querent has just discovered a potential direction in life. They feel their energy go up, they feel the heat, and they want more of it. They martial there resourses and begin the journey that is a natural outcrop of the ideas of the sword. A new level of feeling. This usually indicates that the querent is feeling a new swelling of emotion or beginning to have some vivid dreams. There may be a new feeling for a partner, have felt a tug at their heart, or have a desire to do something new. Whichever way there is a need to explore something from the hearts desires. Mental challenges as a new idea can bring a conflict with it. This usually indicates that the person’s mind is feeling sharper, clearer. They want to talk, want to discuss or write to clarify the thoughts that are inside, the origin of any manifestation comes in the form of a thought, these thoughts are often tested on those around you who may not be willing to allow you to make changes, but when this ace appears a change of mind has already occurred. Something new in the doing. Here is a physical need to be grounded, to do solid work, make, create and touch. Maybe take up a new hobby or career path, the need to be real. This is a driving feeling that one has to do something, anything, as long as it is constructive. These are the aces, the raw or initial passion, feelings, thoughts and needs that can be directed into something more. They represent hope, a possibility, or can be an action required. While undirected they are often accompanied by restlessness, and a need to test the waters. Twos indicate duality but, more importantly, they indicate instinctual knowledge. Aces are undirected energy; the twos are, in a sense, the knowledge of what the direction for that energy should take. This means the querent has a good idea of a needed action and needs to balance the ideal with reality in some way to be able to go forward. Wands are action, and passion used in unison the energy expended here will return good results. While the two energies are un-unified the querent will remain unfulfilled in some way. To choose to act without passion as the cause for action is to choose for a reason that may leave you without the desired result, as to have a desire without action can only leave you dissatisfied and wanting. This is not so much about choice between the two, but more of a balance in the use of action and desire, it can indicate a split between the two which will lead to a manifestation that leaves the querent unsatisfied. This card indicates choosing whether your actions and passions are to work together, if your instincts are good, the choice will be a right one. In essence the two of wands says you need to act to meet your desires while at the same time this card indicates you know this, in the action that is taken though there can be devastation, pain just as easily as there can be joy. This card is a coming together or reuniting or two people. It is recognition of love, of a friend or soul mate. You will be drawn to another and/or them to you, sometimes from a great distance, to establish this relationship. It represents the forming of a partnership with another on any level, be aware of the question you asked, if it was not about love then be aware of the other possible roles a partnership may play in your life. It can represent a return to something you love a hobby or career, or the creation of a business partnership. This card can indicate a resolving of an argument, or reunion after separation, the draw will be love or affection which will override mental considerations. Crossed swords suggest a clash of ideas, words or personalities. This card indicates an unwillingness to deal with problems, and that the problems are not necessarily the querants own but some action may be required. It could be that it is time for the querant to acknowledge that choice is a part of life and you cannot sit on the fence and that if you do you are equally as responsible as the person who makes a choice, for to make no choice is a choice still and influences outcomes. It can also mean it is time for the querant to make a choice and take an active role in his, or her, own destiny that it is time to acknowledge ones own role in creating the dilemma that now must be faced. This is not a choice in taking sides in a conflict but to admit that to create in life one must accept responsibility for their part in creating the present. This card indicates juggling between different aspects of ones life, work, kids, partners, hobbies and finances, the querant may be juggling only two areas but in being stretched one can become tired. However the querants choices are clear for balance to be reached one must prioritize and choose the best way to do this. This gives promise of achieving this balance, look to the surrounding cards to see how. Be aware that it can also indicate where two people, ideas or situations are being played off one against the other, balance is found by good choices not deception. Ruling over the threes is the Empress, of course, whose card is all about creation. The child in the womb, the seed in the ground. So, with the twos, a choice has been made about how to use this passion, emotion, brainpower, craft. Now we get the first results of that decision, the initial manifestation, or the first real chapter. It has become real. This is the card of “waiting for the ships to come in”. 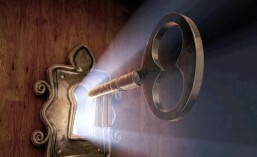 The person has invested their passion in something and now something is coming back. It is a card of progress, of the first hint that the dream can be made real. The tests are coming back, and it looks to be positive. Querent might rightly be feeling a little proud, even powerful. The three though is a first chapter, and though action has found a result there is more to be done after that initial sense of achievement. The creation here, springing from the relationship in the two of cups, is happiness, togetherness. Two cups pour into a third and it overflows with love and joy, enough for all. This is a card of parties, weddings, anniversaries, baby showers, birthdays. Any time that families or loved ones get together or reunite in celebration of something new. The simplest description of this card is celebration. If two meet there is a point of recognition and great joy for their feelings have found expression. Ah, the dreaded three of swords. Three swords pierce a heart. You were warned that the peace established in the two of swords couldn’t last. What sharp words or cutting ideas have created here, not surprisingly, is pain and heartbreak. This card often relates to love-triangles; but remember this is an air sign, so what the Querent believes to be true was likely due to something they heard wrongly or were falsely told, a wrong idea they got into their heads. It does not lessen the fact that hurtful words are going to be exchanged. There is, however, an up side to this card, however bleak. Prior to now, the words and thoughts – possibly poisonous words and thoughts – have been bottled up. They now come out into the open, the cutting truth. I don’t like you, or, I didn’t say that, or, I’m sorry that is not what I want. So, well, now the Querent knows; no more waiting, obsessing, wondering, worrying. Either blood or poison can drip out, and the Querent can get on with their life. They now know how things stand and can act on that, instead of on false beliefs, gossip and misconceptions. This is the craftsman’s card and it indicates creating something that brings in rewards. The Querent has created more work for himself. So promising is what the Querent has done with so little, that money, admiration, and more work is coming their way, enough to get them out of the juggling they were doing in the two of pentacles. Health wise, this card can also indicate positive results from a new exercise program or therapy. It is the card of early rewards for effort and commitment to a project or job, in itself this success does create more work, the potential though is what was sought in the first place, success is not the end but where you create a business initial success provides you with more business and financial return. It is the card of what you put out, will come back to you. Fours are ruled by the Emperor. Like both the Emperor and his throne they signify a kind of stability, a holding pattern if you will. For a moment, everything is still, solid, rooted, established. This can be positive, a solid foundation, or negative, something that refuses to budge or change. The fours herald a time of potential dissatisfaction with the creation or with ones life, feeling on the one hand safe, but wanting or needing more. It is the card of sensing and feeling that things are not what they could be. The basic requirements for any reading are elements of the past present and the future. I am often asked why this is necessary and find myself explaining that you can only be clear about events consequentially and this gives us layers on which to build or link events that are revealed in a reading. The first benefit is in validation of a reader who accurately interprets the cards in relation to a recognizable past, not only does this inspire confidence in the enquirer but in the reader.If you are a novice this is vital for you to have the ability to read and explain the present as well as the future. Any layout should effectively tell a story that makes sense, with a clear beginning, middle and end for that particular phase or question.